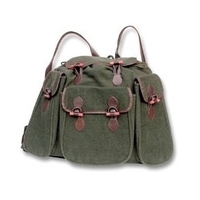 Deluxe loden 3 pocket roe sack. Great roe sack with enough compartments to keep all your stalking essentials. Good tough construction. The only issue is I haven't put a roe in it yet! Would be helpful to have the dimensions as part of the description.